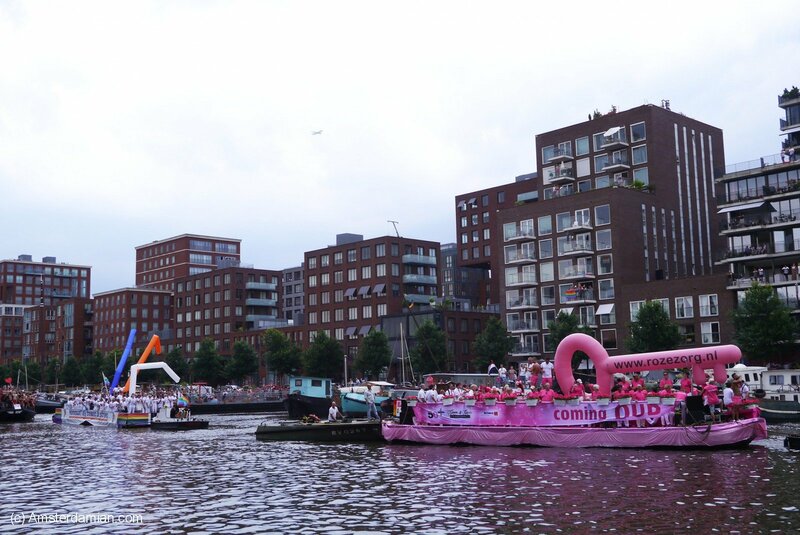 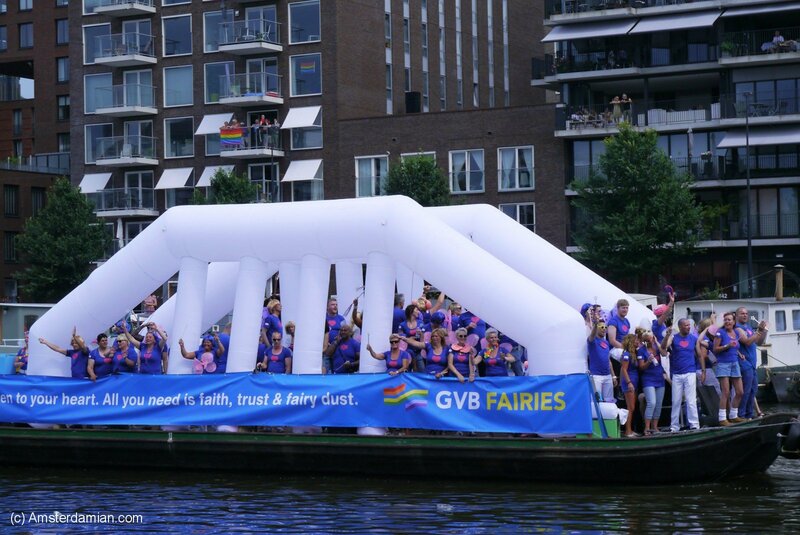 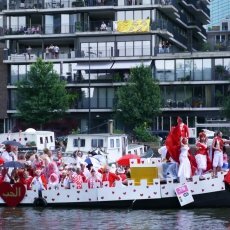 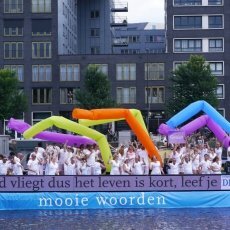 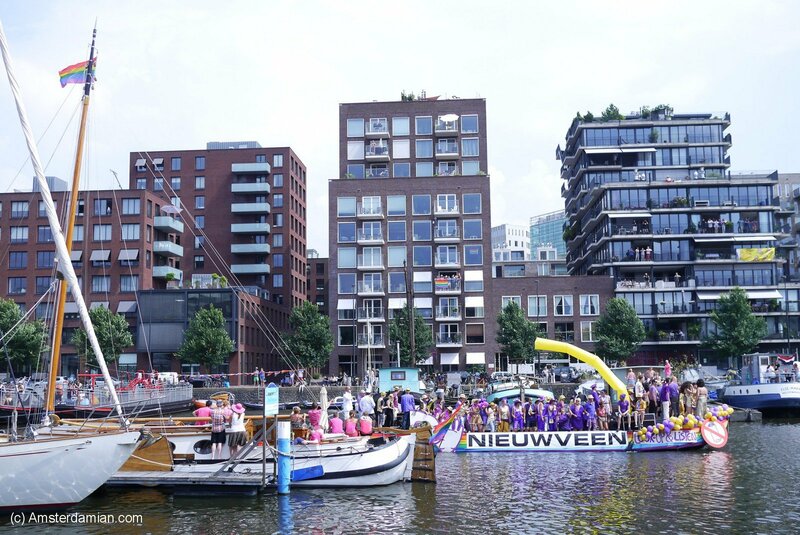 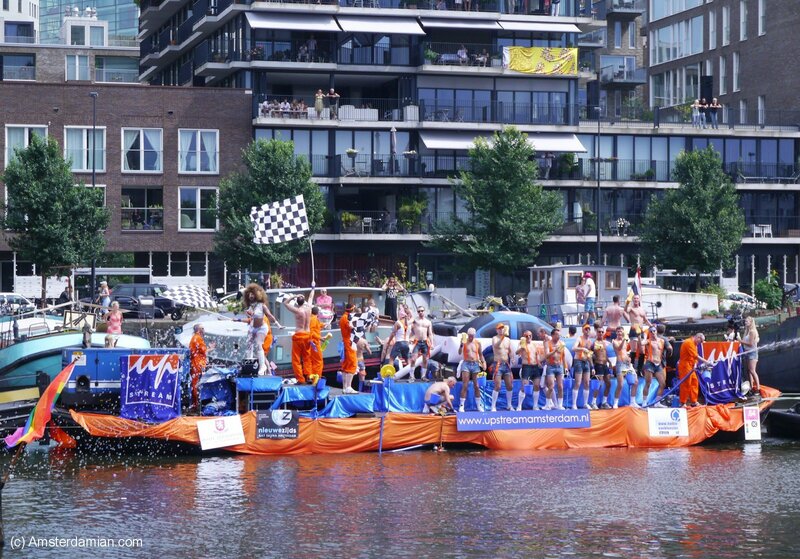 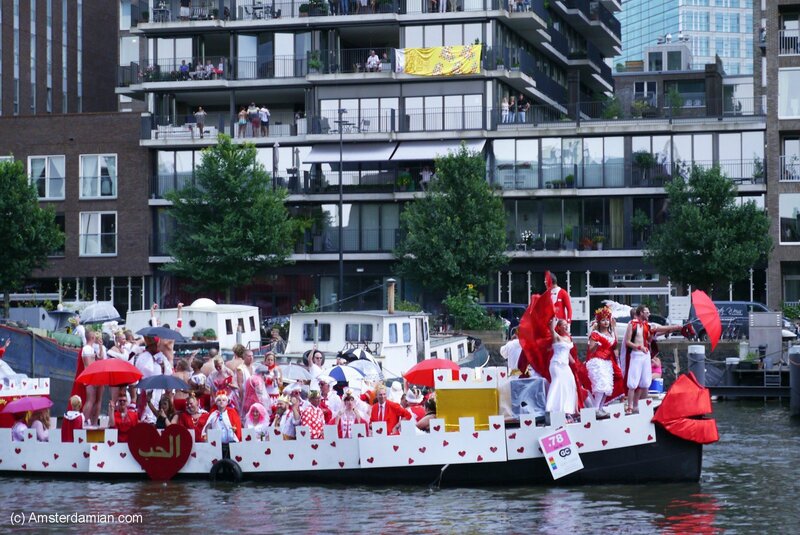 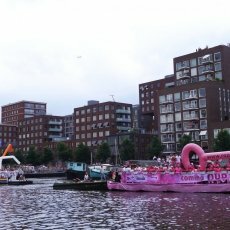 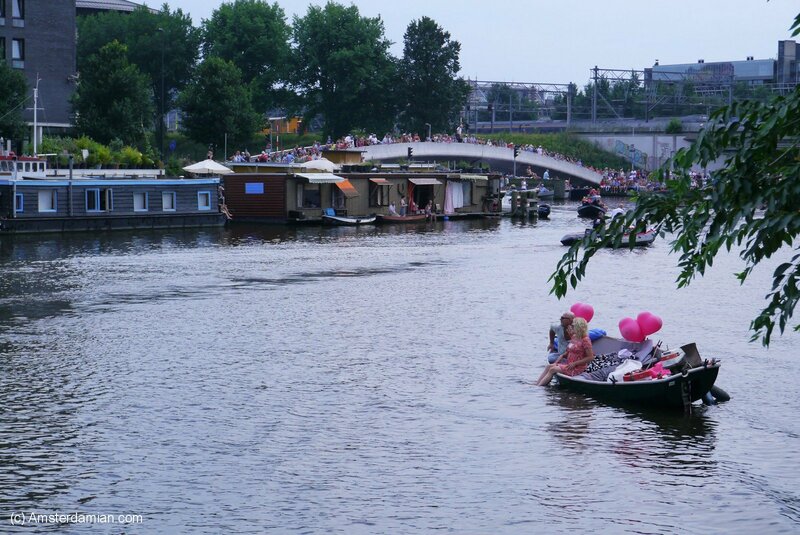 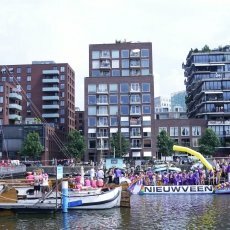 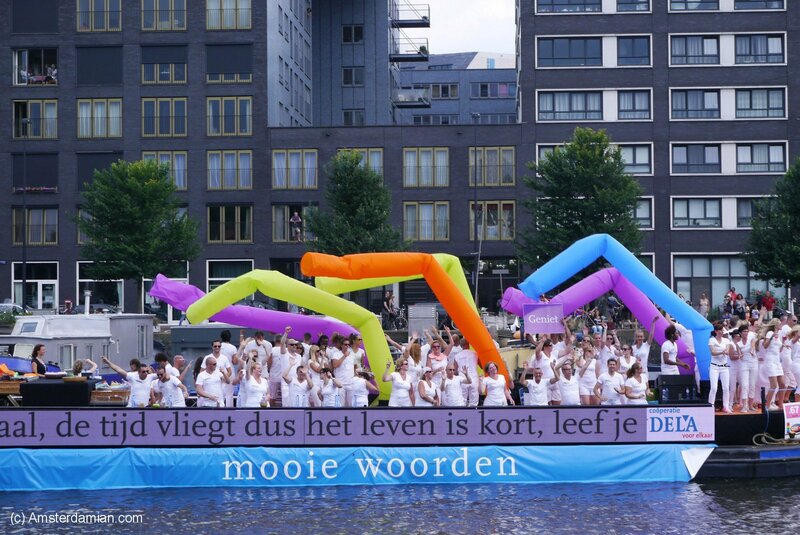 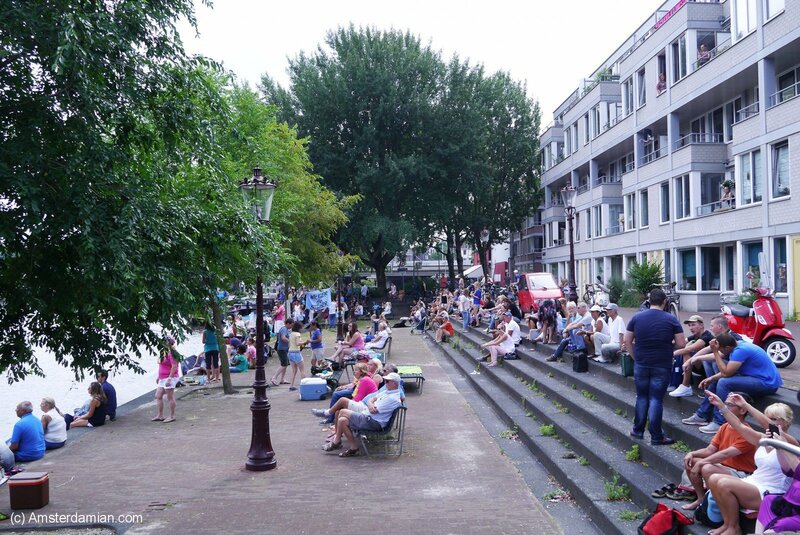 This year I decided to watch the boat parade from its starting point — Westerdok. 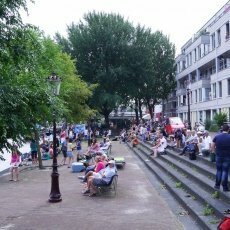 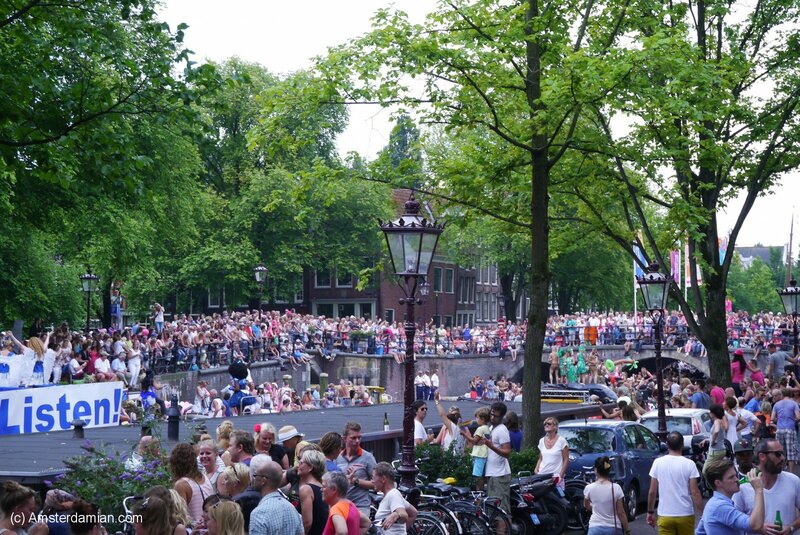 It’s not as crowded as watching the parade from the canals, and you can see the boats without having to climb trees or fight for a place. 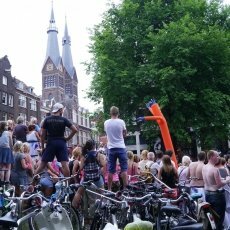 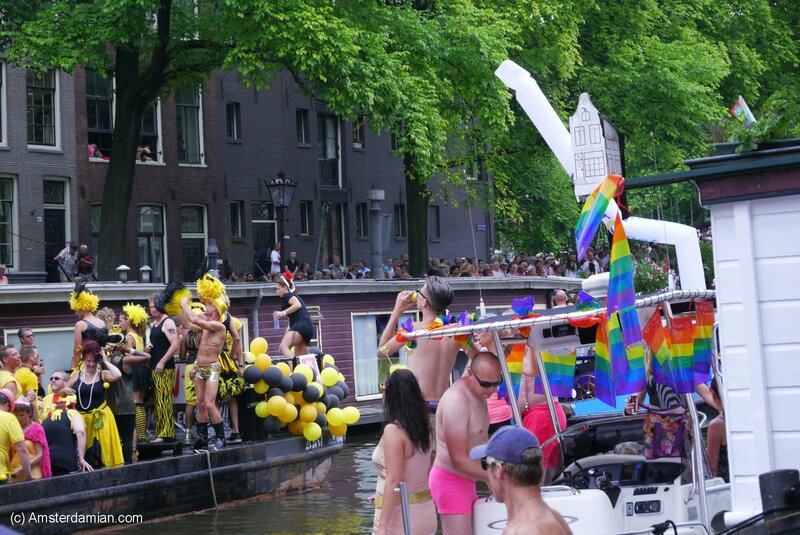 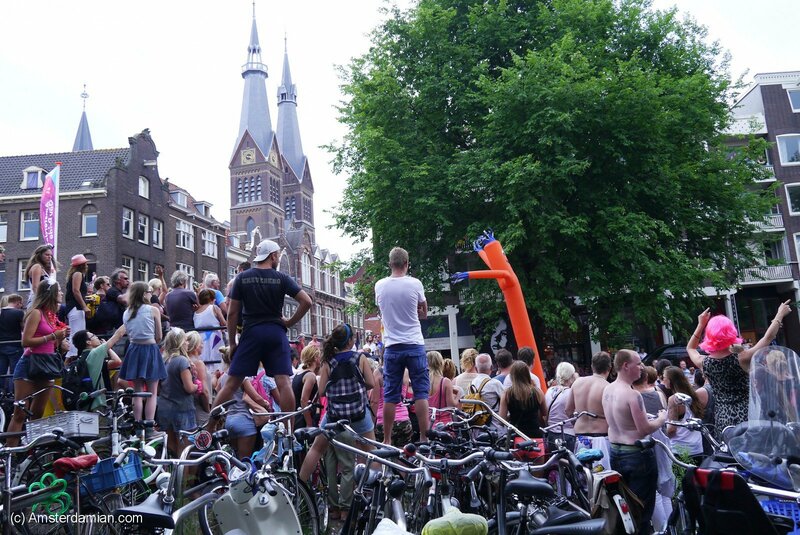 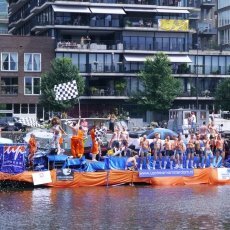 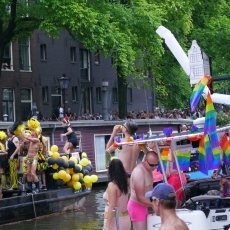 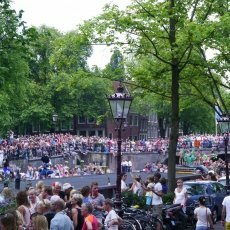 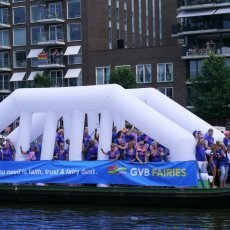 The downside of watching the parade from this spot is that the boats are not as animated as they are after starting the real tour on Prinsengracht. 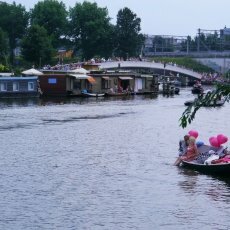 I had fun, nonetheless, before being sent home by the pouring rain.